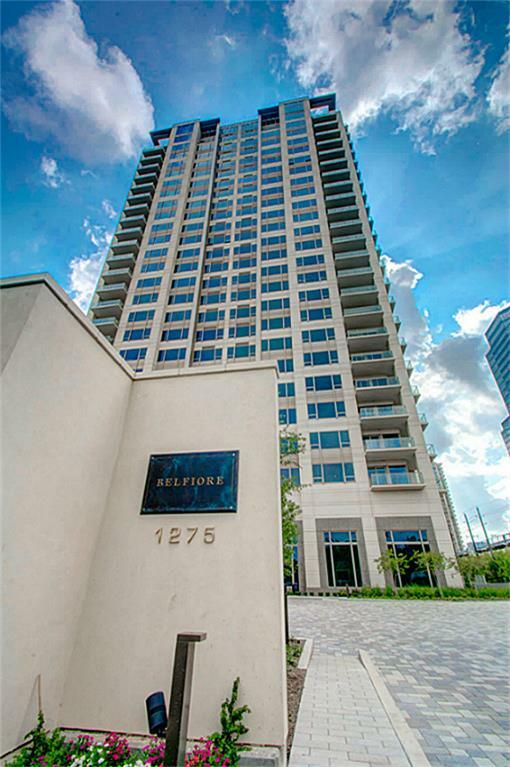 Belfiore is one of the most luxurious and exclusive condominiums in Houston. With only two units and a private lobby per floor, residents enjoy a private and exclusive home. Belfiore features a heated pool with Jacuzzi, spa and cabanas, and a large party room with bar and catering kitchen. Each unit has an exclusive lobby and 700 feet of corner terraces with panoramic views of the Galleria and Wood Tanglewood skyline and Memorial Park. It will rise 26 stories and will contain only 46 residences that start at approximately 4,650 square feet plus 2 large corner terraces. Each home will have its own private lobby, served by 2 high-speed passenger lifts. Every detail has been meticulously thought out and planned: from ceiling heights of about 11 feet to floor-to-ceiling panels to brighten each residence and accent the magnificent views, to the underground parking garage, all on one level. Homeowners get their units completely bare apart from the basic white wall coverings, plumbing, and electrical systems. This gives residents the flexibility to customize their residences. They can customize the interior design, and finishes of the unit to your liking. Belfiore is located in one of the most coveted neighborhoods of Galleria. The shopping area of Houston, The Galleria, Uptown Park and Highland Village are less than 2 miles from the building. These malls house more than 700 retailers, excellent restaurants and five-star hotels. The Galleria is also one of Houston's premier business districts and has more than 23 million square feet of office space. The moment is now, for the incomparable Belfiore skyscraper, is surrounded by a rare and private urban environment, its open pet policy does not restrict the owners in the number, breed, and weight of pets.